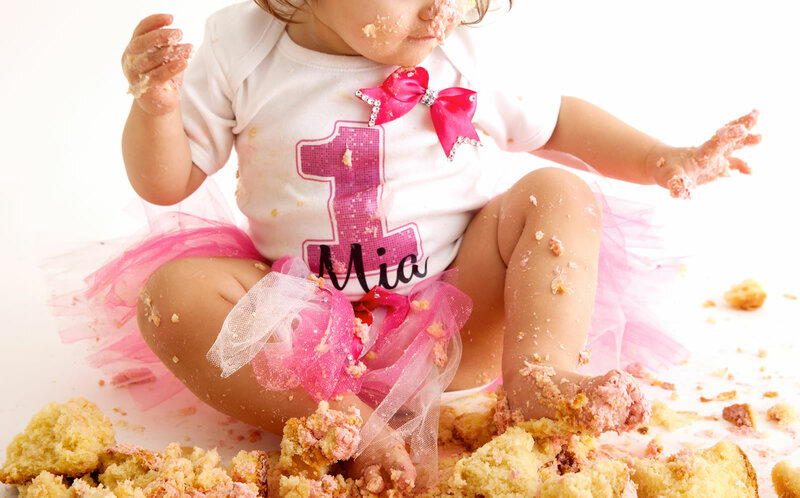 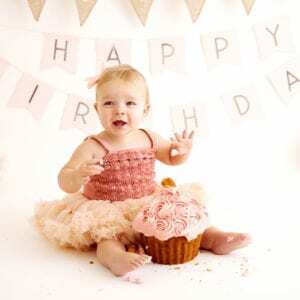 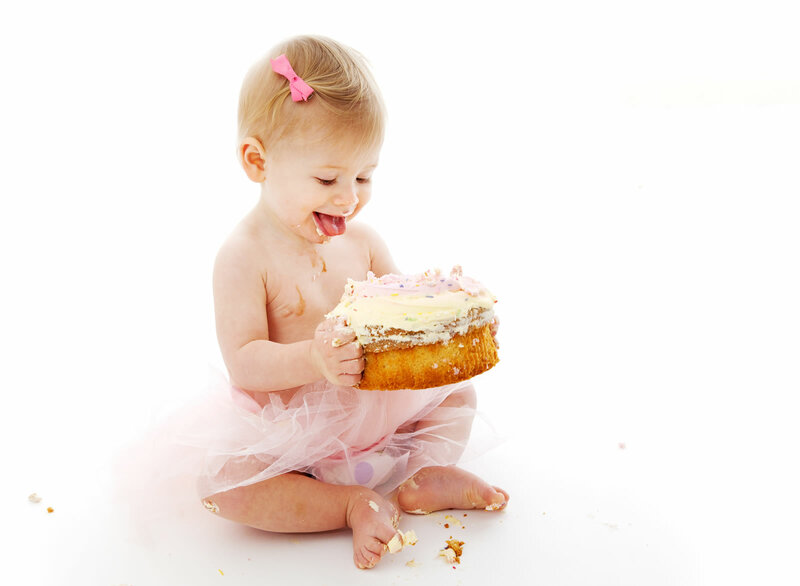 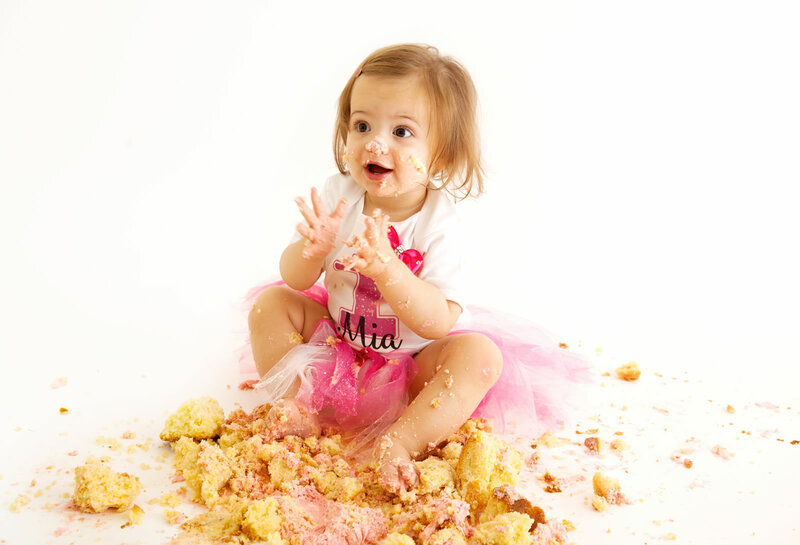 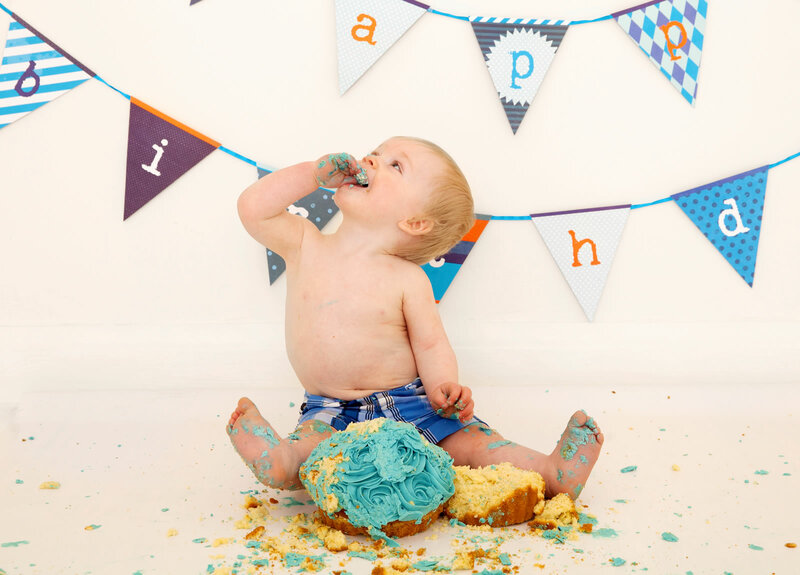 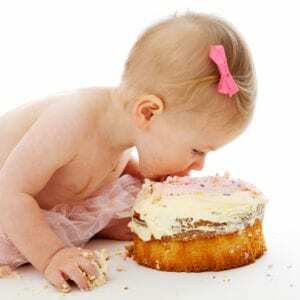 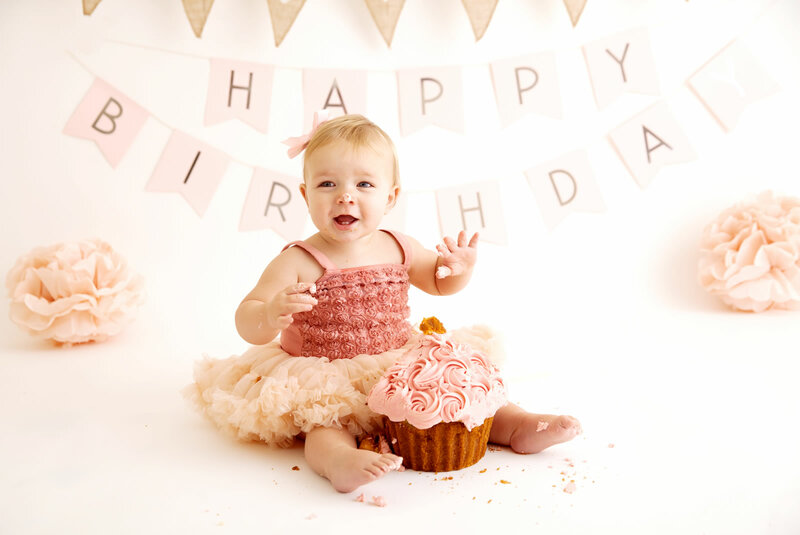 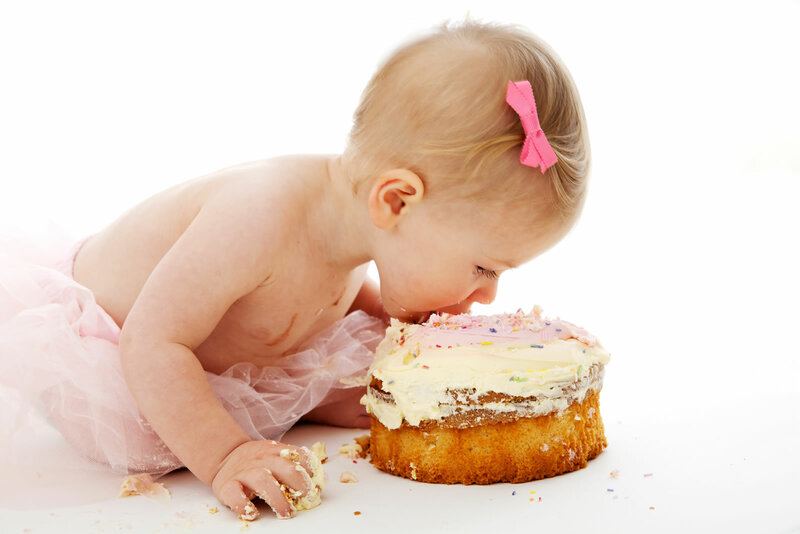 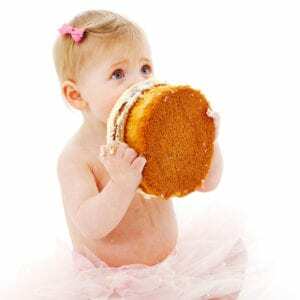 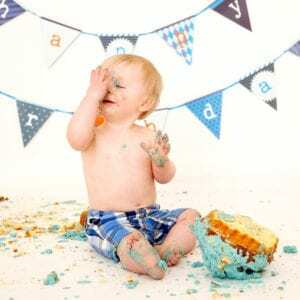 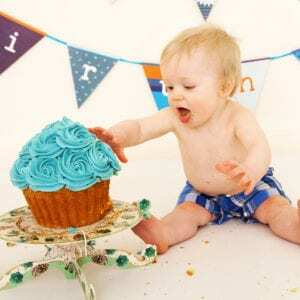 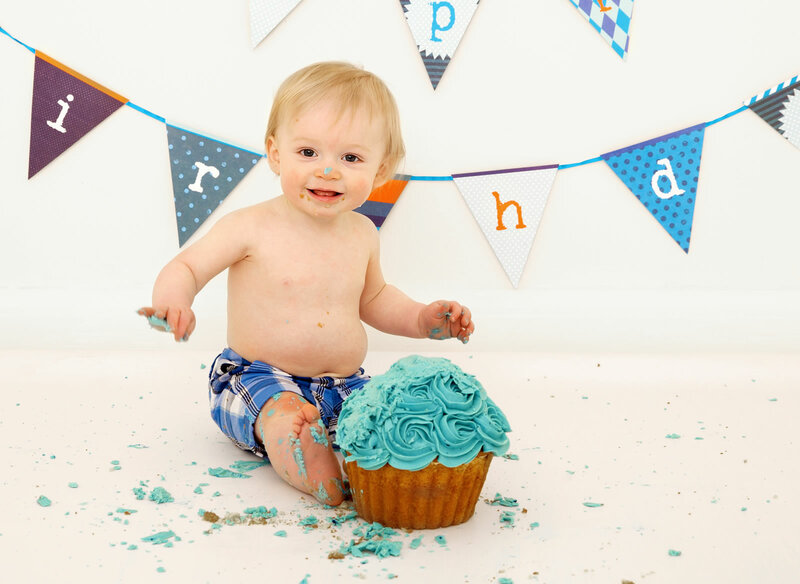 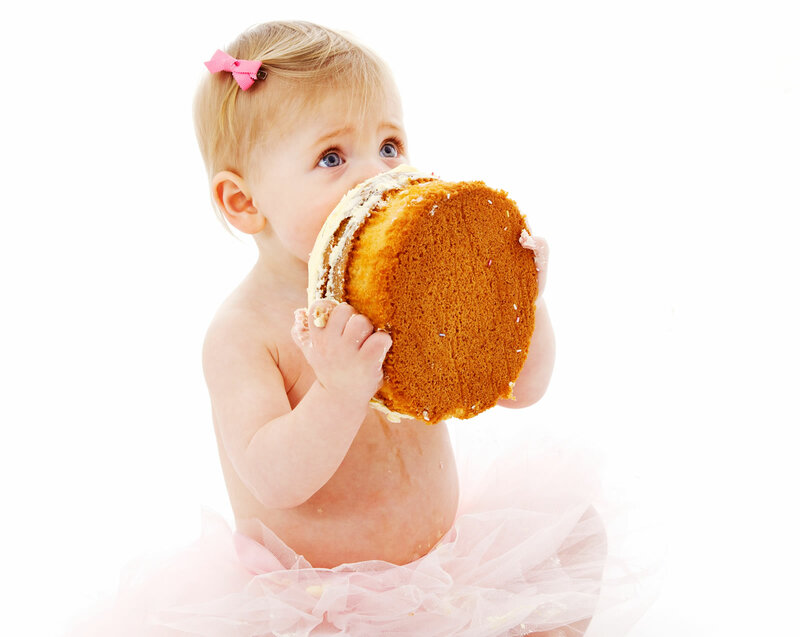 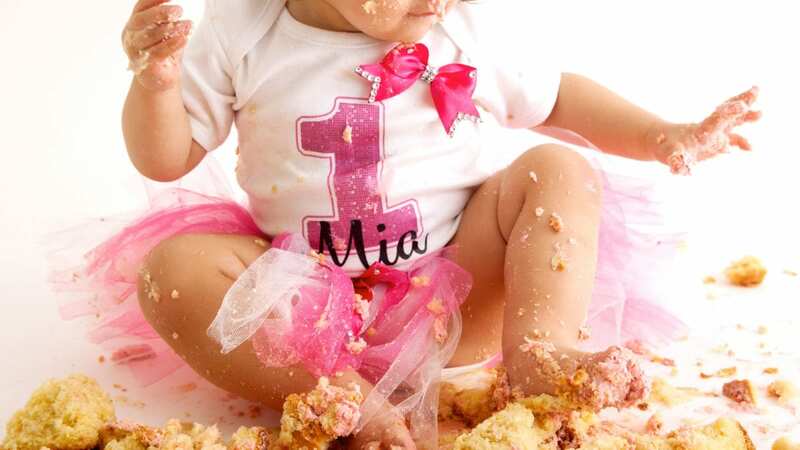 What better way is there to celebrate your child’s first birthday than a cake smash photo shoot? 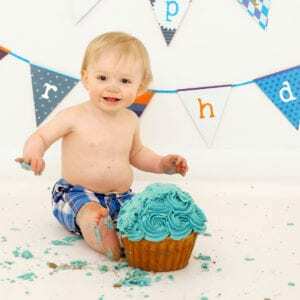 I open the session with few portrait shots of your child. 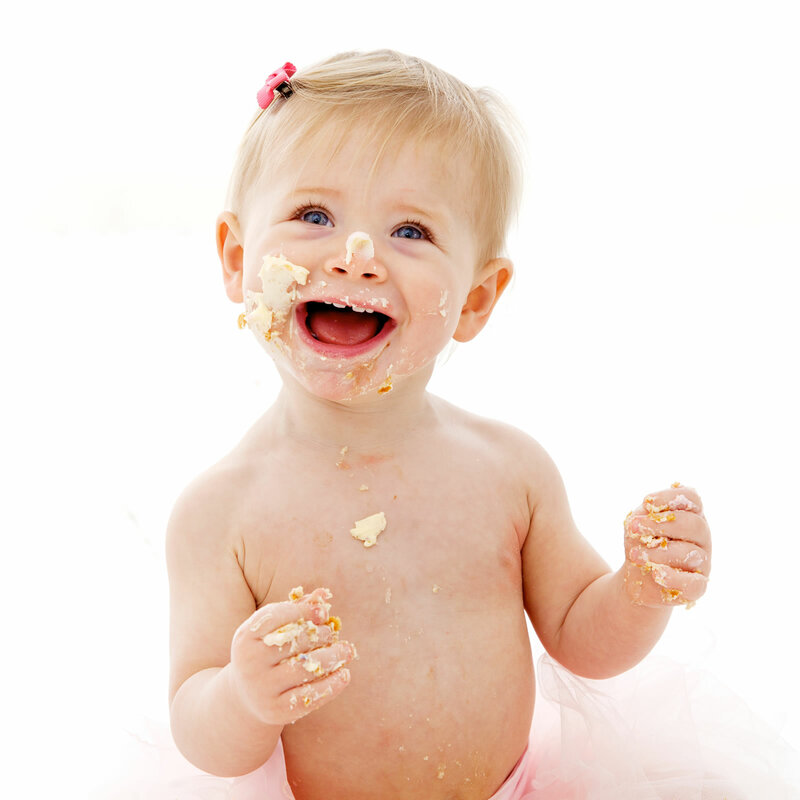 We play with their toys and get them used to the studio environment. 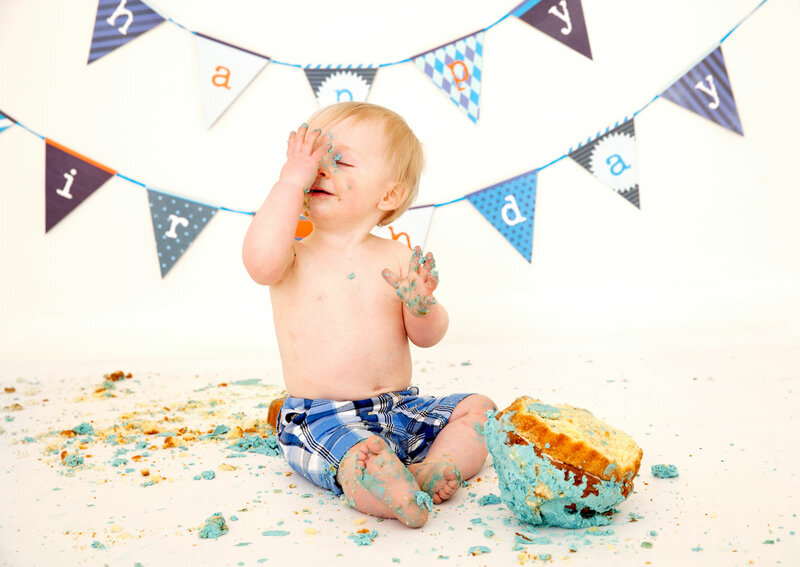 After a quick change we bring in the cake and it’s time to get messy and have fun! 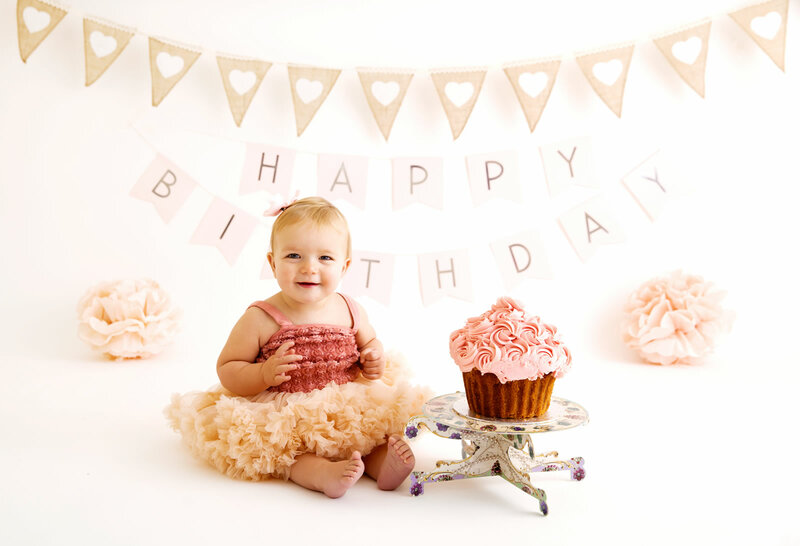 We’ll finish off the session with a bubble bath shoot in an old tin bathtub. 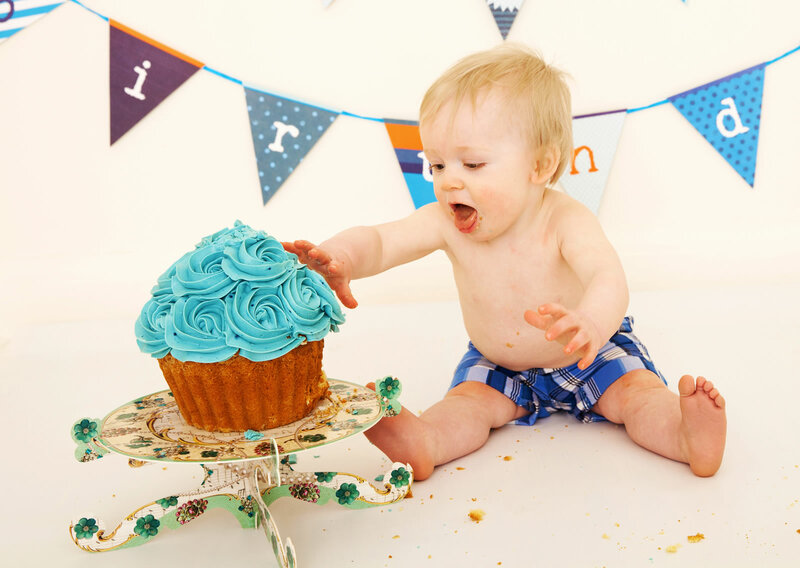 An iced giant cup cake and one 10″ print are included in the £60 session cost. 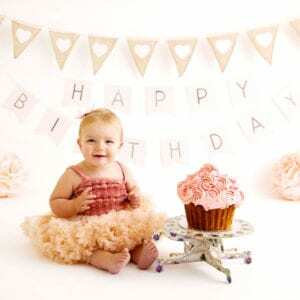 This is payable at the time of booking and is non refundable or transferable. 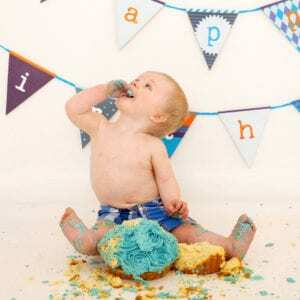 Many of my clients are so thrilled with all of their adorable images that they decide on either a composite framed image or a mini album as a memento of their cake smash session.